All day yesterday on Twitter I was following along as Jessica Hische lettered a valentine for Marian Bantjes. The result, posted around 7 p.m. EST, was the kind of valentine most of us can only dream of making and receiving, and all the nicer for being an exchange of talent between friends. I grew up making valentines for friends and family members, sitting at the kitchen table with my mother, stacks of stuck-together doilies, piles of heart and cupid stickers, miniature flasks of Elmer's glue, glitter, red paper, scissors. I would cut and stick and sprinkle to my heart's content, and then watch as my mother inserted each artless creation into an envelope. 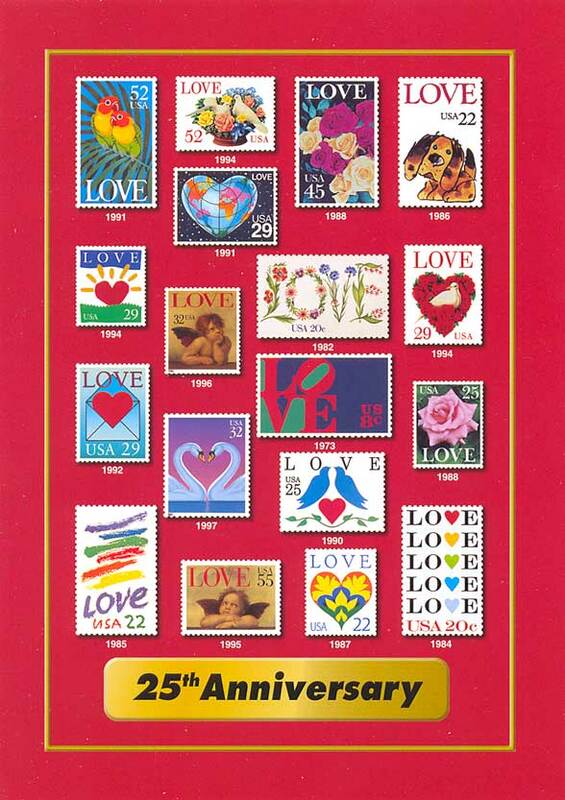 We often bought the Love stamps to send them with, since we're fussy that way, and I can remember disappointing pastel rose years, as well as a few graphic highlights. The valentines I received from friends were usually the tiny ones sold at the drugstore in packs of 20, dutifully distributed to the whole class, sometimes with a chalky Necco heart or two tucked inside. Until high school, when I became too self-conscious for doilies, I never thought of Valentine's Day as a grand romantic occasion. It was an opportunity for crafts! And a chance to say I love you with a small "l". The love was in the making, however crude and sparkly, and in putting glue or pencil to paper. There would have been no harm in being better at it. 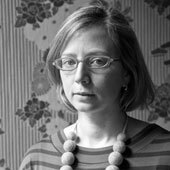 If I could letter like Jessica Hische I would, because I enjoy putting ink to a receptive piece of paper. But it is the hand that counts. Which is why I don't understand the handmade-by-someone-else valentine like those above, and many, many others on Etsy. Printed, yes, OK, in whatever new or old technology strikes your fancy. Valentines and commerce are intertwined, and I did enjoy those drug store cupids. But to hire someone else to make a single, homemade-like valentine for your friend or beloved seems wrong. It's the planning and the sketching and the sticking, or the sewing and the spray-painting, or the stamping, that make it special, not how good you are at painting hearts and flowers. That part where you messed up, and you couldn't start over, has love in it too. If the phenomenal success of Etsy has taught us anything, it is that people crave the real thing, vintage or handmade. Redigitizing their efforts seems as perverse as outsourcing the handwork. Maybe it is old-school modernist of me, but let's use technology to reinvent the valentine rather than to denature the past. 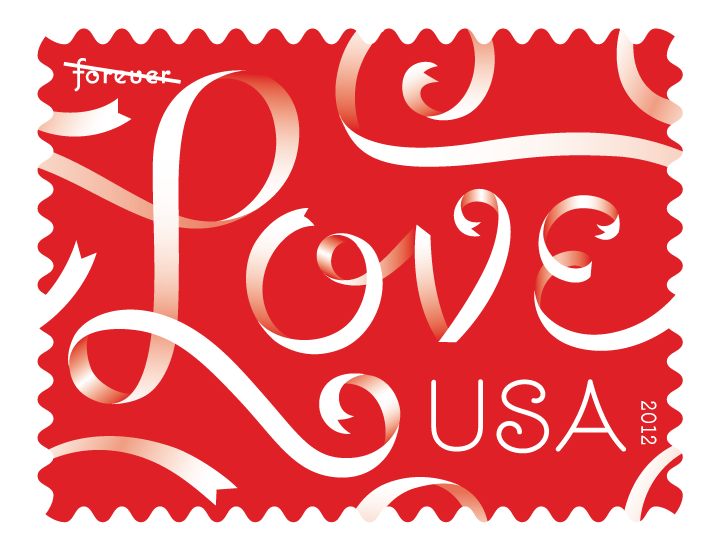 What I like about this year's Love stamp, besides the vibrant red, is that it doesn't look like real ribbons from the attic, but like the essence of ribbons' allure, the curl. Plus, there's @LetterMonth, crusading on Twitter: "A simple challenge. In February, mail 1 item through the post every day it runs. Answer every letter you receive." If you love stamps, as I do, you should do your part to keep the U.S. Postal Service in business this February. Quite possibly this makes me a love Luddite, unable to understand just how romantic a text written in digital script can be. I can live with that. And I know not everyone has hours to spend lettering a valentine. But I think an envelope full of red or pink or frilled anything, from adult or child, is a beautiful gesture. Send me your glitter, not your digital fairy dust. You are not a Luddite. I missed that app, thanks for posting the link. I also forgot to include this letterpress valentine featuring the iPhone. Wondering if this counts as de-digitization? Or is it a case of, If you have to say it, there are larger problem in you relationship? I love your ruminations on this day of commerce and entreaty: a landscape littered with the heartfelt, deviously muddled with the phony. Lovely to see the Valentine exchange of two of our great modern letterform artists. You can preview this image at http://www.alphabetroadtrip.com, my blog about letterforms and publishing. I love this day too much, to remember this day I have gone long drive with my girlfriend this year. Really it was so sweet.We visited so many places and enjoy. True love is life, it gives us some strong support to cross the life of ocean.